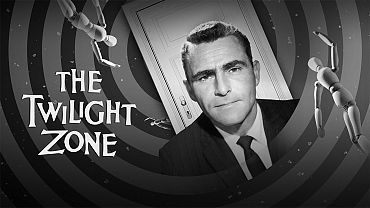 Baby boomers should recall the cutting edge television series ( 1959-64) The Twilight Zone. Creator Rod Serling, who wrote many episodes himself, was a genius! The shows had this surreal and fantasy aspect to them, revealing all the flaws and nobilities human beings can possess. In one of the show’s greatest episodes: The Monsters are due on Maple Street (March, 1960), written by Rod Serling, we can see how fear of the unknown can cause such havoc. A street in a typical American town experiences a giant roar and flashes of light that cannot be explained. Then the power goes out completely. The residents of the street begin to panic and fear that aliens are invading. This causes arguments and physical violence between usually friendly and caring neighbors. The parallels to the aftermath of 9/11 and the run-up to the (illegal and immoral) invasions of Afghanistan and Iraq are astounding. Woody Allen, another literary and cinematic genius, made so many great films depicting the foolishness and ego driven acts by just ‘regular people’. Allen delved into the world of fantasy to make these points so well. His landmark movie using fantasy to make his critique of American society was his 1985 film The Purple Rose of Cairo. A lonely housewife during the Great Depression is seen by a (supposedly) fictional character in a film, causing him to question his own existence. He suddenly ‘leaves the film screen’ and becomes lifelike due to his attraction to her. All hell breaks loose as fantasy and reality become entangled to the Nth degree! To this writer, the ‘hidden’ message of Allen’s storyline is that perhaps this 3rd dimension we operate in is really ‘Just a dream’. Thus, anything goes, as we all create our dream. Here is the kicker to all of this: Can what is happening here in 21st Century Amerika be real? I mean, come on, Donald Trump is actually president of the United States! It’s somewhat similar to how the truly sophisticated German citizens must have felt in 1933 when Hitler ascended to Chancellor, and his party of far right wing thugs and scoundrels ‘controlled the streets’. Recalling Hitler and his near crazy antics in the 1920s, with the barbarity of many of his SA and later on SS minions, must have given pause to the millions of decent and rational Germans. They must have said to themselves and their friends “How could this character be leader of our nation now?” Hitler was a cartoon character right out of a Rod Serling or Woody Allen script… and so is Trump! Of course it is much deeper a problem than just Donald Trump, as it was with Hitler, and Stalin and all the other dictators and despots throughout history. No, it is now and always has been about us, we the people of all those countries. When good people see a trend that is developing and choose to ignore it… bad things usually happen. Empires can only grow and exploit when their citizens refuse or ignore the warning signs. The ‘Big Lie’ can only work when too many of us continue to lie to ourselves. The Pogo cartoon character was correct: We have met the enemy and he be US! Philip A Farruggio is a son and grandson of Brooklyn, NYC longshoremen. He has been a free lance columnist since 2001, with over 300 of his work posted on sites like Consortium News, Information Clearing House, Global Research, Nation of Change, World News Trust, Op Ed News, Dissident Voice, Counterpunch, Activist Post, Sleuth Journal, Truthout and many others. His blog can be read in full on World News Trust, whereupon he writes a great deal on the need to cut military spending drastically and send the savings back to save our cities. Philip has a internet interview show, ‘It’s the Empire… Stupid’ with producer Chuck Gregory, and can be reached at [email protected].